Getting started and continuing an exercise program can be a challenging yet, rewarding undertaking. Fifty percent of those who begin an exercise program will drop out with-in six months. You can implement various techniques to improve your adherence to these new lifestyle changes. Determine where you are going to exercise. Some people find it more convenient to exercise at home. Others may find they have fewer distractions at an exercise facility. If you choose to exercise at a gym, pick one that is nearby, since you may be less likely to exercise at a club that is further away. You are more likely to stick with your program if it is fun and convenient. Start by identifying activities that you enjoy. Then, determine the most convenient time to exercise with the least distractions. Your first few workouts should be brief and well within your abilities. Gradually increase the duration and intensity of your exercise. Do not start out with a program your coach had you perform in high school or college. Individualize your program and begin back gradually. When working out with a partner, try to choose someone with a similar fitness level. As a beginner, you may work too hard if you exercise with an experienced partner. Studies have demonstrated you are less likely to continue your program if you exercise at higher intensities too soon. Likewise, long workouts are also associated with higher drop out rates. Set realistic goals that contribute to long term lifestyle changes. Set both behavioral and outcome goals. A behavior goal could be exercising on weekdays at 7 P.M. for 30 minutes. Examples of outcome goals include losing 10 pounds in 2 months or jumping 1 inch higher by next game season. Understand the objectives behind your outcome goals so you can set appropriate behavioral goals. Focus on achieving your behavior goals since you will have much more control in achieving this type of goal. Do not get discouraged if your short term outcome goals are not achieved by your initial deadline. Change your behavioral goals in accordance to the achievement of your outcome goals. Re-evaluate your plan if you discover a more effective means to attain your objectives or are not certain you can consistently achieve your behavioral goals. Establish a routine so physical activity becomes a habit. Plan on a definite time to exercise. Write these times in your planner as you would an appointment. Set recurring alarms on your watch or Personal Digital Assistant (PDA) just before your scheduled time to exercise. Set out your workout clothes or pack your workout bag the night before. If you feel like not working out, agree with yourself to have a very short, light workout. Quite often, after getting ready and warming up, you will find enough motivation to push through a full workout. If you miss your scheduled workout, realize not all is lost. Forgive yourself and reevaluate your behavioral plan. Adjust your strategies to prevent future drop outs and recommit to your program. Develop a back up plan in case of unforeseen circumstances. Agree not to use your back up plan unless absolutely necessary. If you have not successfully stuck to your program in the past, analyze past obstacles and implement new strategies to overcome these barriers. Perform a variety of exercises and activities. Engage in utilitarian activities such as walking to the store, walking the dog, or catching up on yard work. Try new activities you think you may enjoy. Consider less traditional forms of exercise like kayaking, urban hiking, or participating in sports leagues or pickup games. Check to see if your company offers wellness incentive programs, fitness facilities, or corporate sports competitions. Perhaps, plan and train for an adventure vacation or sports event. Learn about these new activities by reading an instructional book, joining a training group, or hiring a personal trainer. Plan your workouts by selecting exercises for the next month or week. Implement a variety of activities. Consider scheduling a different activity on specific days of the week adjusting in accordance of your changing interests. If you workout with weights, change your exercise program every month to alleviate boredom and to restimulate progress. When walking, jogging, or cycling, vary exercise routes or trails. Use diversions such as listening to music, watching television, or reading during exercises that you would otherwise find a bit boring. Utilize social support. Find an exercise partner, hire a personal trainer, or exercise in a group setting. A training partner or exercise instructor can provide feedback, assistance, and motivation. Participate in physical activities with your spouse, family, or friends. Be creative. Every week, take turns having family members choose their favorite family activity. Share your goals with those close to you or others that are likely to ask you about your progress. Ask them for their support. Having explained that you have set aside a particular time to exercise can potentially minimize future conflicts or misunderstandings. Those close to you will have the opportunity to understand the importance of your goals and the time you have set aside for them. Write your goals on paper and post them where they are in view for you to see every day (e.g. refrigerator, mirror, date book, etc.). Some people may even find it helpful to sign a personal fitness contract with their personal trainer or friend. Monitor your progress. Record your activity and progress in an exercise diary or log. You can even record your diet in a journal or a food exchange check list. Consider purchasing an electronic monitoring gadget like a pedometer, heart rate monitor, or stop watch to track your progress. 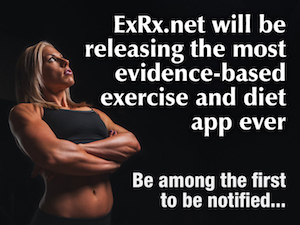 Find an exercise professional who can monitor your progress. Regular fitness tests can objectively measure the effectiveness of your program and can possibly save you months or even years of hard work. If progress is not significant, immediate changes can be made to your program. A fitness professional can help you decide the tests most compatible with your fitness goals and how often you should test. Although some individuals may thrive on competition, many beginners may get discouraged when they compare their fitness levels and abilities with others. Comparing yourself to others may bring about either disappointment or conceit. Remember, it is not so important where you are today as it is where you will be tomorrow. Certainly, you do not need to implement every strategy outlined in this article. Start out with the techniques you believe will have the most impact in your adherence to your program: find activities you find fun and convenient, set goals, start out gradually, monitor your progress, perform a variety of exercises and activities, use diversions, and utilize social support.